The UAA Indoor Championships this weekend were a tale of two stories for the Maroons: one of success for the women, the other of sorrow for the men, who fell just short of a UAA title. In the seven-team field, the women’s side handily beat second-place place finishers Wash U by 23 points, as the Maroons led the way with 154 points. Some of the top performers for the women’s side were third-year Nkemdilim Nwaokolo, first-year Megan Verner-Crist, and third-year Mikaela Hammel. Nwaokolo and her fellow shot putters, fourth-year Reecie Dern and first-year Ade Ayoola, took first, second, and third in the meet, with respective throws of 12.58 meters, 11.52 meters, and 11.50 meters. 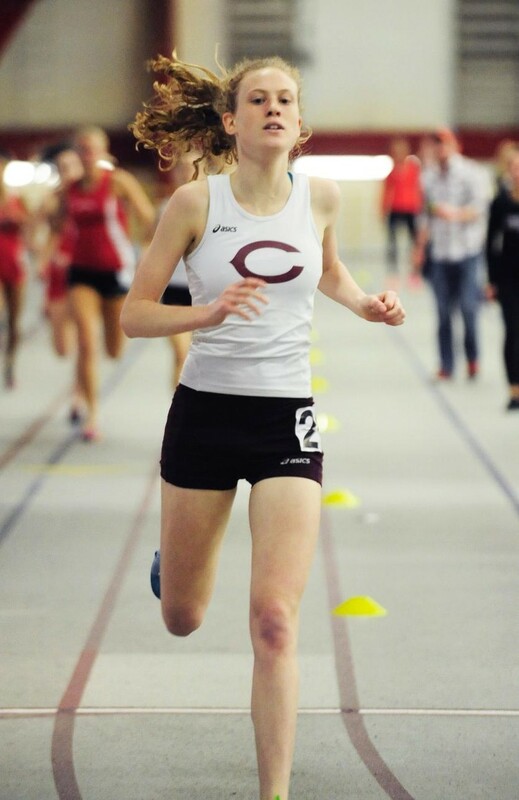 Verner-Crist, a miler for the Maroons, had a memorable meet as she won her first title, scorching the run in a time of 4:58.58. She was followed a second later by her teammate, third-year Brianna Hickey. Another standout for the Maroons was Hammel, a 400-meter runner for the squad. Hammel broke the school record this weekend by running a 58.08, giving her a second place finish in the meet and putting her on the All-UAA team. For the men, the conference meet ended in the South Siders falling one point short to rivals Wash U, scoring 113 to Wash U’s 114. The difference between the schools came in the final event, the 4x400-meter relay. While the Maroon squad tallied a new school record of 3:21.44 in the event, they ultimately finished in second place, just shy of the Wash U Bears. The day might have ended in team loss, but there were individual successes for the Maroons. Third-year Michael Bennett was able to stay healthy this week and shattered his own personal best in the school and conference records for pole vault. Bennett leaped to a whopping 4.95 meters, capturing his second consecutive conference title. Third-year sprinter Ben Clark dominated the 200-meter dash, setting a new school record blazing at a 22.27 second finish. Clark was bittersweet about the meet as a whole when reflecting on it. While happy and humble about his individual success, he was upset on a team level that the Maroons fell short. “We’re obviously disappointed with the way we lost. A lot of guys stepped up to put us in a position to win and we couldn’t get it done. It’s devastating and it’s going to sting for a while. Fortunately, we’ll have another shot in a couple months,” Clark said. As a football player for the Maroons as well, Clark spoke of his inspiration to run track, and what it meant for him to break the school record. “I started running track because I thought it would make me a better football player. I’ve been on some great relay teams but I never thought I’d have the opportunity to be at that level as an individual,” Clark said. This weekend, the Maroons will compete at the UW-Stevens Point Last Chance meet for athletes to get their final chance to qualify for NCAA DIII Championships.